These U by Kotex ultrathin sport pads really are so thin you hardly know your wearing them and they are super absorbent for the size. A quality product that does what it’s supposed to. These are so wonderful. You really do feel the difference with these. They are so soft and comfortable to wear especially when on the go. Kotex sport pads are great!! These are my go to pads as they are great during workouts and any form of exercise. They are very absorbent. These are cheap and great, especially good if your sweating a lot. 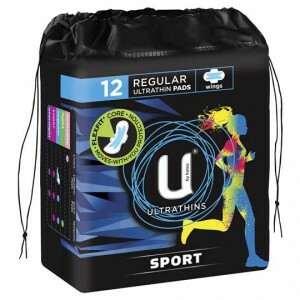 U By Kotex Sport Ultrathin Regular ,Great product! Loved how they stayed in place whilst out jogging. They are thin and comfortable and last. I love the fun, funky packaging also. Perfect for the sporty type. Great product! Loved how they stayed in place whilst out jogging. They are thin and comfortable and last. I love the fun, funky packaging also. How would you rate U By Kotex Sport Ultrathin Regular?